It is 2016, and this year the landscape of visual marketing seems to be changing more than ever before. It isn’t about content of all forms anymore. The game has shifted to a new playing field, and visuals are on top. First let’s quickly list some visual marketing tools… because I love tools! These apps will help you scale and analyze visual marketing for you to shape your own strategy! These are not-so-obvious visual marketing tools you should start using! If it takes you a minute to compose a tweet, upload an image and schedule it, you may be spending 24 HOURS a month to share content to one Twitter account! MavRepeater (part of MavSocial) allows you to publish a group of posts (we call it a campaign) continuously at the time(s) you decide. It’s a major time saver! Bannersnack is the only visual analytics tool I am aware of. It specializes in banner creation but it can as well be used to create and analyze the images you use in-content, in social media ads, etc. 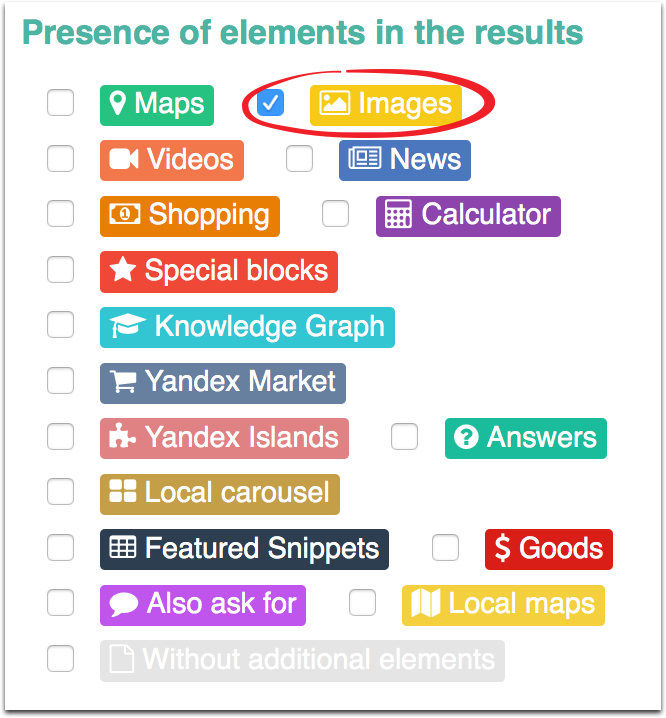 Think of Bannersnack as of Google Analytics for images: They will record traffic sources, clicks and even the heatmap (where exactly people click on your image). More on Bannersnack Analytics here. 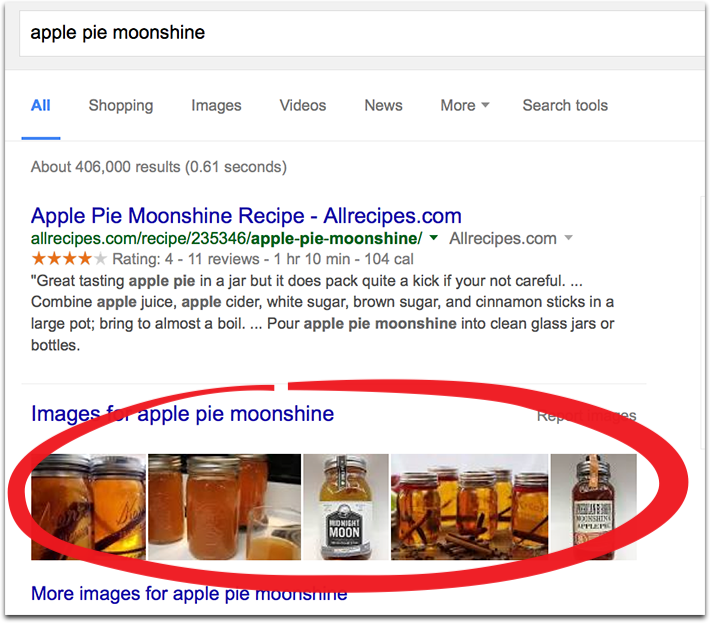 Have you ever seen a stack of images appearing in generic Google search results for some queries. Well, this is your untapped competitive advantage! 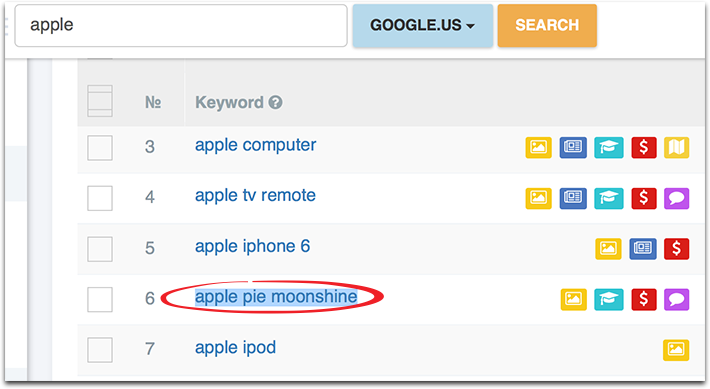 Image search is still the easiest to achieve higher rankings. And if your image ranks high enough there, you’ll get additional brand visibility in general search! More on SERPstat special feature filters here. 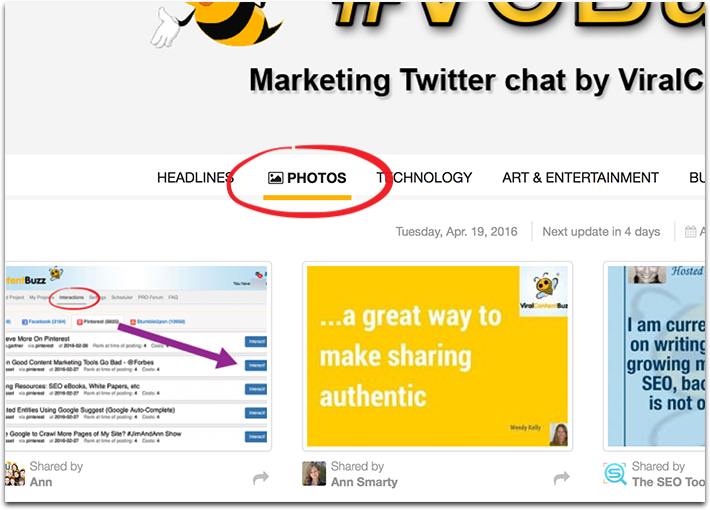 ViralContentBee is the only platform that supports Pinterest promotion. 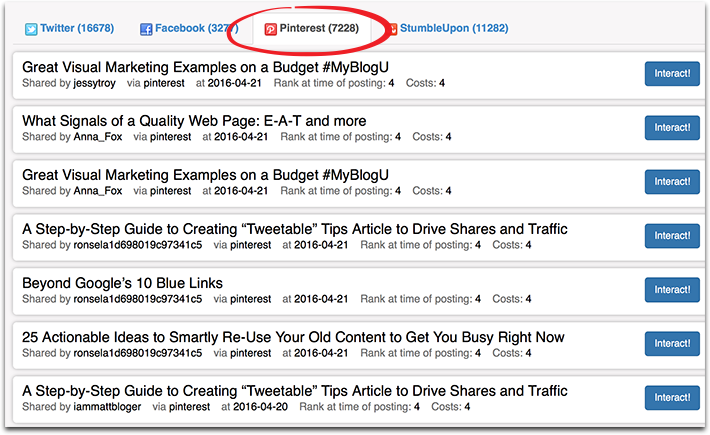 Just add your article containing the image you want to be pinned and provide the direct image URL for VCB users to share on Pinterest. Here are ten stats and trends that prove visual marketing is booming. Having the right size and type of image tailored to social platforms is important. Instagram announced last year that they were going to give users the ability to crop their photos in portrait and landscape style. This move seemed to validate what visual marketers had been seeing for awhile: different styles and sizes look and perform better on certain social media profiles. Infographics. Want to know how powerful infographics have become on the web? A post by Massplanner confirmed what marketers have been seeing as a trend for the past five years: infographics are serious social share bait. They are liked and shared three times more often than any other form of content. Research based on eye tracking has also found users more likely to follow text alongside images than images alone. Video is growing by the day. In an article by Content Marketing Institute last year predicted a number of trends for 2016 in the world of content marketing. A quote by Jay Baer of Convince & Convert was possible the most interesting of everything presented in the post. He believes that video will become the primary marketing standby and content delivery system across all major brands. He also believes it will be across multiple platforms, not just YouTube. He mentions Vine, Periscope, Blab, and several others. We are already seeing this prediction coming true. The crazy is becoming the norm. Getty Images released their annual Creative In Focus Report. They point out a trend you may have noticed: visuals are getting weird. Not only in the scope of art, but also in the world of marketing. You may remember the infamous Little Baby’s Ice Cream commercial that went viral. Or the more recent Squatty Potty unicorn commercial, which to date has over 19 million views on its YouTube hosted video alone. You could classify the Old Spice commercials with Terry Crews, or the Skittles ads under the same banner. Bizarre, surreal, and even disturbing marketing materials are increasingly popular, and seem to connect well with a wider audience. Instagram as a place for people. When you look at older photo hosting networks, such as Flickr, you will note the popularity of location shots, photos of inanimate objects, etc. Instagram is not the same. Images with faces are 38% more likely to be liked than those without them. That is an interesting counter to Pinterest, which back in a 2013 Wired article it turned out that faceless photos did significantly better. That may no longer be the case on Pinterest, but the opposite is very clearly true for Instagram. Avoid using it as a product photo dump site, no matter how well shot. Personalize! Facebook is a boon for organic engagement. No matter how many platforms are launched and thrive on a growing social web, Facebook remains king. Organic engagement is one area where they have actually doubled, while other networks have seen a severe drop. We know that visual posts have a more impressive impact than text posts on Facebook, and that the better those visuals the more attention they will get in a user’s feed. So therefore using Facebook for a visual marketing campaign can improve organic engagement results when compared to other social networks. Taking advantage is the brain’s retention skills. Did you know that we are more than just attracted to visuals? We actually retain information much better when we are able to associate images to those facts. That is part of what makes infographics so powerful, but it also explains why video tutorials are better than text instructions, or a memorable photo can help you remember a blog post. When we hear a fact, we are about 10% likely to remember it accurately. When we have an accompanied visual, we are 65% likely to remember the info, and with greater recall. Marketing moves ever more in the direction of storytelling. Of all of the trends, this one might be the most pertinent to the world of marketing as a whole. Gone are the days when you present data or features and hook the customer. Now it is about crafting a story, one that connects with the viewer and makes them want to partake in that story themselves. It is a more intimate and creative form of advertising, and it has taken visual marketing to a whole new level. For example, this heartwarming video uses a GoPro to show a firefighter saving a kitten from a burning building. It tells an unforgettable story that doesn’t rely on traditional advertising cliches to sell the product. It lets the product sell itself, and instead focuses on the story as an independent element. Have you noticed any trends in the world of visual marketing? Let us know in the comments! So many apps …where do you spend your dollars for the best tracking when there is a budget? Found the YouPop a bit difficult to use at first – kept moving the mouse away from the link and onto the video which made it diepapsar! However a cool tool if you remember to hit the spacebar to preserve the video.